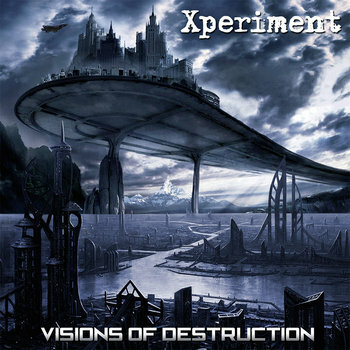 After 2 years of production, Xperiment attacks again with a new double CD album called Visions Of Destruction. The album includes 11 new tracks, 1 versus with X-Tropeaos band, 1 track previously unreleased called 'Desafío' and 8 remixes from bands like Say Just Words, Antythesys, TraKKtor, Decayed Reflection, Hydra Division V and other great artists. The physical edition available at Disconexus and Bandcamp includes all the lyrics and artwork into the booklet.